Wash your hands in these sinks, which are smaller than wash stations and may have one or more faucets. They are commonly used in medical facilities, clean rooms, and other areas where clean hands are required. 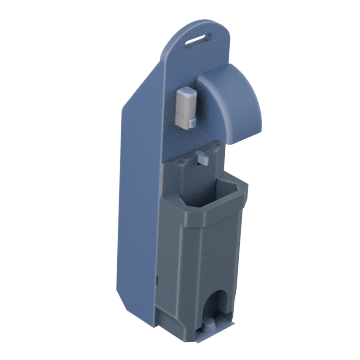 Step on the foot pedal to start water flowing through the faucet without using your hands, reducing the risk of cross-contamination from multiple users touching the sink. The sinks mount to a floor. Place your hands under the faucet to trigger the motion sensor and start the flow of water through the faucet. The faucet turns off automatically after a set period of time. 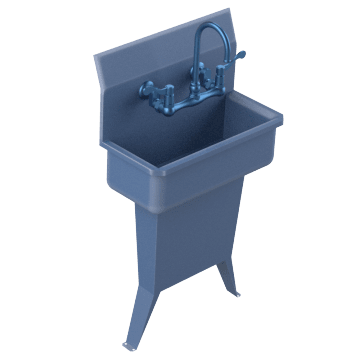 You do not have to use your hands to operate these sinks, which reduces the risk of cross-contamination from multiple users touching the sink. 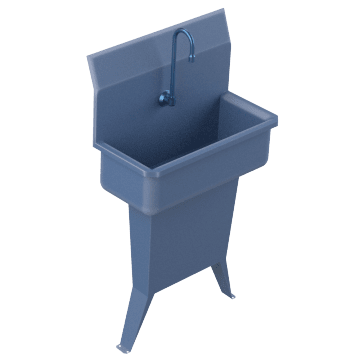 The sinks mount to a floor. Start the flow of water in these sinks by turning the handles. The sinks mount to a floor. Use your knee to press the pedal and start the flow of water on these hands-free sinks. 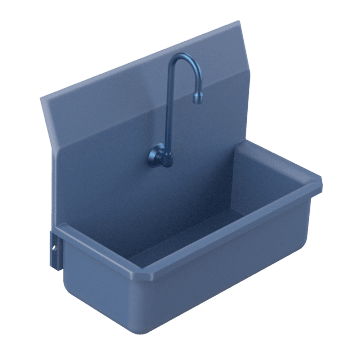 This reduces the risk of cross-contamination from multiple users touching the sink. These sinks mount to a wall, leaving the floor area underneath clear. A motion sensor starts the flow of water through the faucet when triggered, and the faucet turns off automatically after a set period of time. 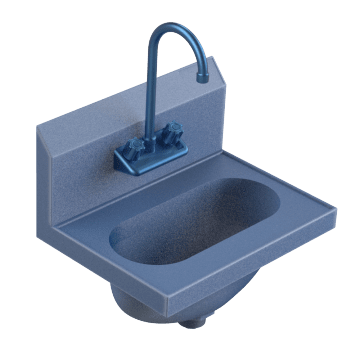 You do not have to use your hands to operate these sinks, which reduces the risk of cross-contamination from multiple users touching the sink. The sinks mount to a wall, helping to keep the floor area under the sink clear. Turn the handles on these sinks to start or stop water flowing through the faucet. 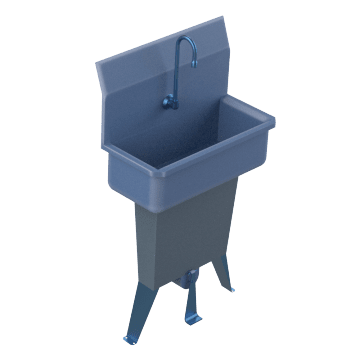 Ideal for facilities where contamination is not a concern, these sinks mount to a wall so that the floor area under the sink remains clear. 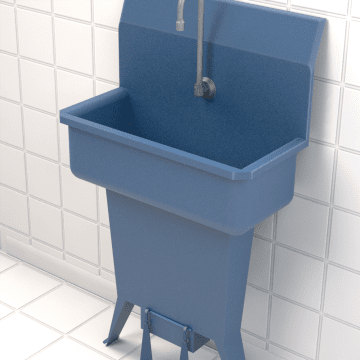 Move these sinks to any location where hand-washing facilities are needed. They have a foot pump that you step on to start the water flowing through the faucet and a soap dispenser that keeps soap within easy reach.